Meet the newest products for achieving your ultimate skin goals. Whether you’re looking for a flawless finish, radiant & refreshed skin or a softer-than-ever feel, these Sephora skin care products will have you feeling great heading into fall. Choose 1 of 6 skin care deluxe samples with any $25 purchase. 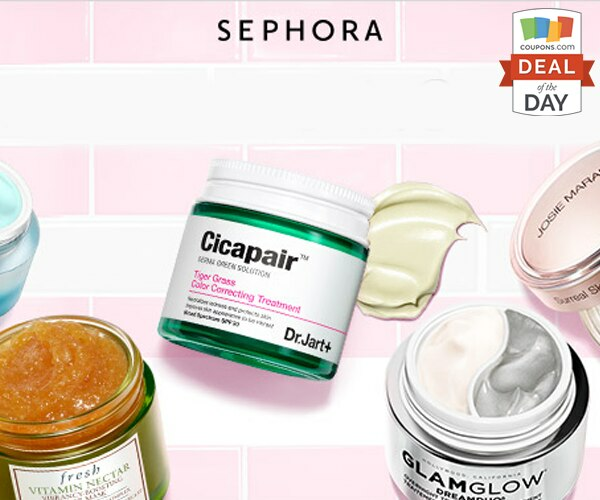 Check out more great savings for Sephora at Coupons.com. Deal Details: Enter code SKINGOALS to receive the deluxe sample of your choice based on availability, free with any online merchandise purchase of $25 or more. Beauty insiders only. Online only.